Viktor Orban's comments come as thousands flood into Budapest train station after standoff with authorities. Hungarian Prime Minister Viktor Orban has said those fleeing conflict in countries such as Syria should not try to cross into Hungary, as he defended the country's decision to erect a fence along its border. His comments at the EU headquarters in Brussels came as thousands of refugees flooded into a train station in Budapest hoping to board trains taking them to Germany or Austria. "Please don't come ... It's risky to come. We can't guarantee that you will be accepted," Orban said at a news conference in Brussels with European Parliament President Martin Schulz, adding that it would not be humane or morally right to "falsify" people's dreams. 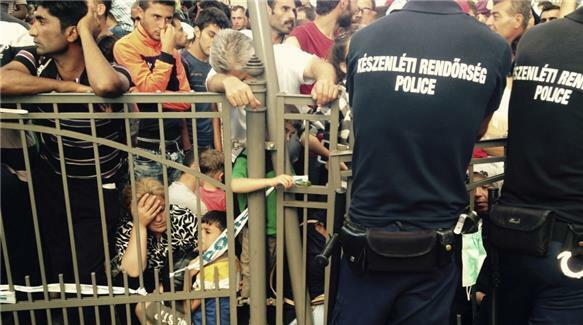 Hungary has been widely criticised for its way of handling the mass flow of refugees to Europe. A fence on the border with Serbia is one of several measures planned to make it more difficult for refugees to enter and stay in Hungary. The government is also tightening asylum laws, introducing penalties for illegal border-crossing, and planning to close permanent refugee camps. "We Hungarians are full of fear, people in Europe are full of fear because they see that the European leaders, among them the prime ministers, are not able to control the situation," Orban said. Thousands of refugees had been sleeping rough outside the Budapest train station as police blocked them from entering for two days. After they were eventually let in on Thursday morning, a packed train departed bound for Sopron, a town near the Austrian border. But Hungarian police stopped the train before its destination, with police taking refugees off and directing them onto buses to take them to a refugee camp, state news agency MTI reported. 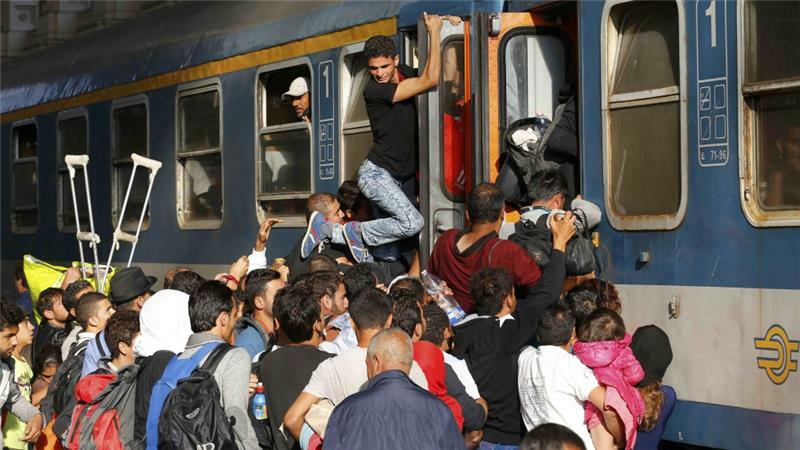 About 50 riot police were lined up as a replacement train allowed non-refugee passengers to continue their journey, Reuters reported. Orban's chief of staff said police would stick to the EU's Schengen rules and make all checks needed on refugees travelling on domestic trains towards the country's western border. EU President Donald Tusk, meanwhile, warned that divisions between western member states and their newer eastern partners were complicating efforts to solve the deepening refugee crisis. "There is a divide ... between the east and the west of the EU. Some member states are thinking about containing the wave of migration, symbolised by the Hungarian [border] fence," Tusk said.